Good Morning! This morning I’m trying out a new tea from Tazo. It’s called Green Ginger and it is a bright green tea blend with ginger, lemongrass, and a pop of pear. It tingles my tongue and makes me a very happy girl. 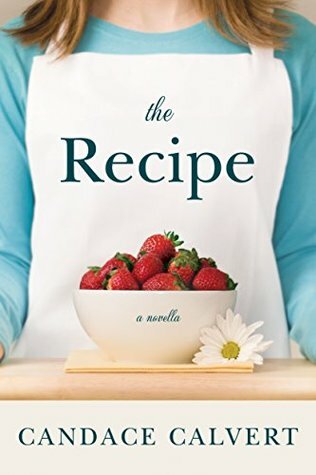 The Tale today is The Recipe by Candace Calvert. This is an interesting one. I have no idea how this book ended up on my Kindle. But it did and boy am I glad. This is a novella. Very short, perfect for an afternoon cup of tea and an uplifting story. It’s a story of finding one’s place. Of love and hope and a belief that in the end God will sort it all out. We may think we should be one thing or another, but there comes that time when everything comes together and you just know that this is what you are here to do. I’ve been recently going through some agonizing decisions of my own and this little story brought some much needed clarity and peace. So how it got here I don’t know, but I’m keeping it! Plus in the back is a recipe for Strawberry Rhubarb Crumble. One of my favorite combinations of food! So check out the novella and let me know what you think. Also the tea is amazing!!! My tongue is doing the happy dance in my mouth every time I take a sip. Now if someone could just whip up that Crumble and send it my way, we’d be in business! The third in the Death by series, Death by Pumpkin Spice features Krissy Hancock and her best friend, Vicki who own and operate Death by Coffee. A cafe’ and bookstore. When Krissy isn’t getting into trouble trying to solve murders. When Krissy gets an invitation from Dr.Will to attend a Halloween costume party at the Yarborough mansion, she is more than a little nervous. Krissy is not exactly your party in the mansion type of girl. The Yarborough’s are known for being odd. There mansion is like the haunted ride at Disney every day of the year. When one of the guests is found dead, the house is put on lock down while Officer Paul tries to figure out who killed poor Jessica Fairweather in a room full of nasty looking jack o’lanterns. Krissy, who is up to her neck in old flames, and new ones, is determined to help Paul find the killer and the motive. But with a storm raging outside, no one is getting in or out. The minute I saw the title of this book, I wanted it. 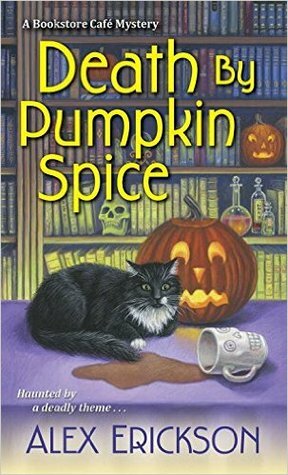 As a lover of all things pumpkin spice and cozy mysteries. And when the murder victim has the same last name as I do, I was excited, but not for long. Ultimately I was disappointed. There was no pumpkin spice and the self deprecating, thirty something shop owner with multiple love interests and a best friend has really been done so many times, it’s getting a bit stale. I appreciate Netgalley and the Publisher for the book in return for an honest review. Grab a Cup and Have a Seat! Today’s tea is from Tazo. It’s the Passion tea and it is a party in your mouth! Here at the Pirate Nation, we are a very passionate people. We are obsessed with Tea and all things Tea! We are also passionate about Sports. College Football, Pro Football, Baseball, Golf, whatever it is we are passionate about it! This weekend was not a great weekend for College Football for everyone. While my NDSU Bisons did what they always do, which is win, the Noles and OU got spanked in a big way. It was very quiet here last night. I’m pretty sure the entire Sooner Nation went to bed early. And while my baseball team has clinched their division, I am still not mentioning their name at all. Hear that Skipah?? We are all holding our collective breaths over this. One thing we love to do is trash talk. But we all know in a heartbeat we will cheer for each other’s team as long as they aren’t playing us. However my ‘Step-Mother-in-law’, who absolutely hates me…in that good Christian kind of way of course, she posts on my FB “Good game Loisville” Okay, if you are going to talk trash, spell it correctly. Seriously the spelling bothered me more than the passive-aggressive post! So what are you passionate about? What do you live and breathe for? Enjoy your tea and have a lovely Sunday! Oh, and for John and Janice Woods, Happy Anniversary to you both! My role models!! A Good Day For Some Chai and a Book! Today’s Tea is brought to you by Mother Nature and Tazo! It’s the original Chai and one of my favorite comfort teas with a generous splash of Almond Milk. Makes you feel warm all over. I’m posting this review on both of my sites because it applies to both sites! Enjoy! When we last saw Maggie Miller, she was trying to open her Beignet and Coffee shop in Table Rock, Arizona. And also trying to figure out how a dead body got into her storeroom. Remember Clive and Johnny from the wedding shop next door? Well, when he pops into Maggie’s shop to beg a ride out to the cake shop to drop off a color swatch for the wedding cake, Maggie, who drives a Schwinn, borrows her brother in law Andy’s truck and heads out. When Clive returns to the truck extremely shaken, he shows Maggie what he found. A body lying at the bottom of the stairs underneath a wedding cake. Now Clive and Johnny are suspects and Maggie isn’t going to stop nosing around until they are cleared. But who to suspect? Table Rock is not exactly full of your normal everyday citizens. Think Area 51 meets new age hippies. Anyone could have done this horrible crime. Just as she thinks she has the killer figured out….bam! Plot twist! I love all of the oddball characters in Ripley’s books. They are people just like the people you probably know, a bit weird, but very lovable. I was right with Maggie in her thinking and was so very wrong! Good Job, Mr. Ripley! You got me on this one! Just one mention of Maggie trying to perfect a recipe for a chocolate beignet had me off the computer for 2 days trying to make one. Still working on that! However if you would like to make your own beignets, Cafe’ du Monde sells their boxed mix at Super Targets and specialty stores. Or if you are feeling adventurous you can whip some up in no time! I had planned on giving you a good review of a nice cozy mystery today, but finishing the book almost made me want to strangle someone, so instead let’s just grab a cup of Assam and have some sweet potato scones together. Everyone enjoying this gorgeous Fall weather? Along with Pumpkin Spice lattes from Starbucks, my favorite thing about Fall is the root vegetables and sweet potatoes that are available! Today I am having a nice pot of Assam, which I bought at the San Francisco Herb Company. It’s smoky and reminds me of campfires and it is going pretty well with these Sweet Potato Scones. Sift the flour, salt, baking powder into your bowl and then add the sugar. In a separate bowl, mix the sweet potatoes and 2 Tbsp. butter. Add dry ingredients and mix well forming a soft dough, adding milk as necessary. Roll out and use a round cookie cutter or biscuit cutter to cut out scones then place on a cookie sheet lined with parchment paper. Brush tops with remaining melted butter. Bake at 375 degrees for 20 to 25 minutes. Grab your teacup and a brownie! 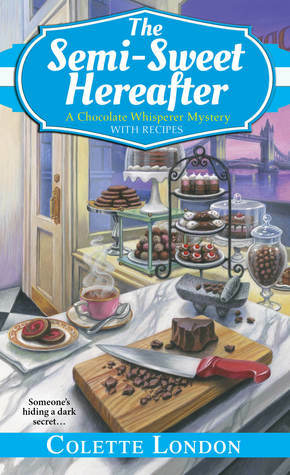 This is the third book in the Chocolate Whisperer Mysteries by Colette London. Hayden Mundy Moore, also known as the chocolate whisperer, is back. Doing what she does best, which is helping clients with their chocolate issues. Travelling the globe most of the year, as stipulated by her late Uncle’s will. This time she is in London, working with the wife of a hunky television chef, getting Primrose, a chocolates and bakery shop back on track after business begins slacking off due to her best bakers being lured away. Hayden is brought in to teach, advise and get Primrose back on top. Staying in the guest house on Phoebe’s estate, Hayden is happily doing what she loves. Until she comes home to find a body in the guest house and herself as a suspect. By now we know Hayden is going to jump on this and find out just who murdered the chef in the guesthouse with a kitchen utensil. The descriptions of all the delicious chocolate treats was beginning to make my mouth water and that continued throughout the book. And extra points for that Sticky Pudding recipe in the back! Will Hayden, with a little help from Danny and Travis, find the killer before she becomes a victim? Grab a cup of tea and a brownie and settle in for a lovely read. I received this book from Netgalley and Kensington Publishing in exchange for an honest review. Colette London is the pseudonym of a best-selling novelist who’s published more than three dozen books worldwide. Her Chocolate Whisperer series kicked off with Criminal Confections and Dangerously Dark and continues with The Semi-Sweet Hereafter in October 2016, all from Kensington Books. Grab the teapot and make yourself some Earl Grey this afternoon! I’ll wait…. As you already know if you follow my book review site, www.piratepatty.wordpress.com, I have been struggling with an eye infection that turned bad in a big hurry. A 6mm glob on my eye that since June has been the focal point of my days. I am extremely lucky that I have the Dean McGee Eye Institute at my disposal. I live with Anxiety and PTSD. The kind where you’ve just seen way too much bad stuff and you would rather just stay in and avoid people and be in control. But at the moment I am not in control and that’s a first for me. So to calm myself I’ve started having an actual time for tea every afternoon. The entire process is calming and allows me to focus on just one thing. Today I want to say Thank you! To all of my fellow bloggers who keep me entertained and informed every day! Luckily I am only blind in one eye so I can still read and write. And I do enjoy hearing from people from all over the world. I’ve learned so much about other cultures and countries so keep that up! The other day one of my fellow bloggers reminded me we had been friends for a year! I have marriages that didn’t last that long! Just know that if you are here, it’s because I find you interesting! The Tea Fairy Shows Up! This was a small portion of everything Tazo. There were a couple of flavors I had not tried so first up was the Tazo Green Ginger. Here is the description. Tazo Green Ginger is a soothing blend of green tea with hints of ginger and pear. On opening the packet, the aroma of Ginger hit my nose first followed by a lemony aroma. The first steeping came out a very clear, pale color similar to a good green tea. And from the first sip the ginger was dancing all over my tongue, mixing perfectly with the lemongrass that makes up the green tea, ginger and lemongrass along with natural flavors. The hint of pear came in the second steeping and the third was still as smooth, just more full bodied. So this one is a keeper! Even my sweet tea loving guy liked it! Suggested sweets….. 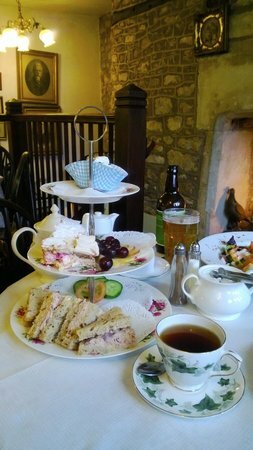 Judged as ‘near perfect’ and awarded The UK’s Top Tea Place by the prestigious UK Tea Guild The Bridge Tea Rooms offers the very best in traditionally British Afternoon Teas, lunches and light meals throughout the day. The afternoon ritual of serving tea has been developed to a fine art. 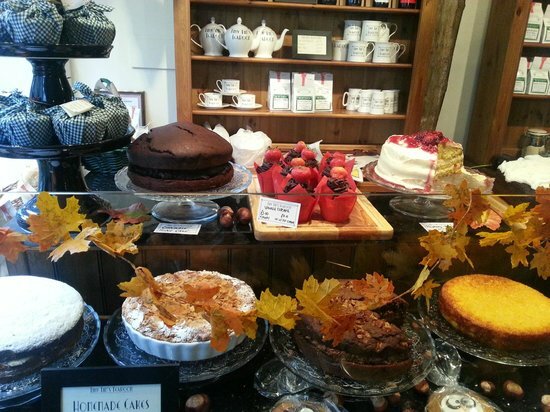 Delicate bone china, the finest leaf teas, and friendly staff in Victorian costumes serving home-made cakes, scones and sandwiches. 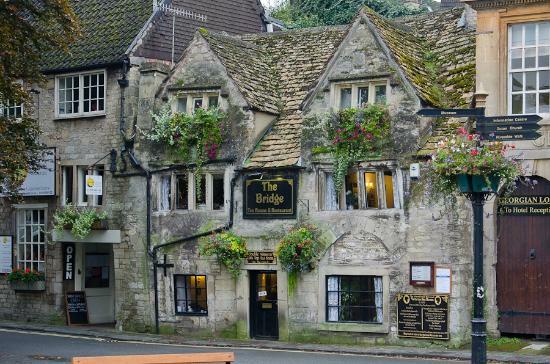 Housed in a former blacksmith’s cottage dating from 1502, the Bridge Tea Rooms positively oozes atmosphere, and the classical music playing gently in the background sets a tranquil tone. 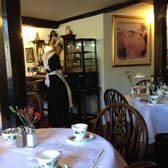 Loose-leaf tea in china cups, homemade cakes and light bites served by staff in Victorian costumes. 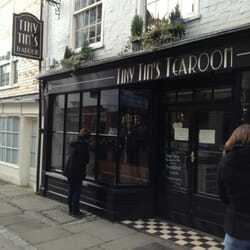 Tiny Tim’s Tearoom is the only traditional English tearoom in Canterbury, offering a relaxing and luxurious 1930′s atmosphere. Visit us to sample the best Afternoon Tea in Kent with freshly prepared sandwiches, warm home baked scones with lashings of clotted cream, and a tempting selection of our handmade pastries. Sit and relax in our chandelier lit rooms while taking time to enjoy one of our exquisite teas from a selection of over 30 different blends, read one of our daily newspapers, and listen to our collection of 1930’s and 40’s period music. Meet friends for an enticing mid-week lunch from our light menu including the chef’s special quiche, homemade hearty soups, large soft Huffkins filled with bacon and egg or mature cheddar cheese, or treat yourself to our very own Meatloaf Puffkin. We have a good choice of Kentish wine, beer and cider to accompany your meal, or for special occasions Kent’s award winning sparkling wines! 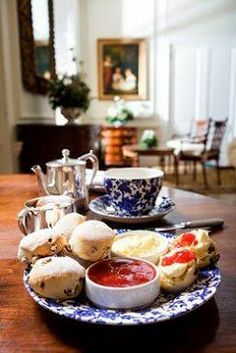 If it is an oasis of calm you require join us in the afternoon for our famous Kentish Cream Tea served on a traditional 3-tiered stand offering our traditionally baked scones with all the trimmings and a choice of one of our award winning teas or coffees. All of our products are made freshly from scratch and include no preservatives or additives. We know what goes into all of our food and we are proud to source as much as we can from local producers and suppliers. Our breakfast menu is the best in town and is available all day. Omelettes made with large free range and local eggs, or two delicious poached eggs served on thick toasted granary bread made for us by Oscars family run bakery of Faversham. For those rare sunny days in spring and summer we open our courtyard that has a limited number of tables to allow our guests to revel in the warm weather, whilst inside we throw open the windows and doors to allow the sun to warm our very souls! 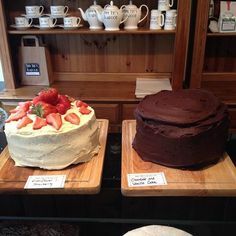 The tearoom is owned and run by John Cutmore and his partner Caroline Kerwick. Together they employ approximately 20 staff who between them, create, bake, cook, make, serve and clean everything in the tearoom. We are proud to use as many local ingredients and utilise local producers and suppliers as much as possible. Last orders 15-20 mins before closing. We will be closed on Sunday 12th June 2016 for one day. They also sell tea in the gift shop! I’ll meet you there! Enjoy your day!